In what was a week of celebration for the wider county of Galway on the back of their wins (Senior and Minors) in the All Ireland Hurling Finals, Pavement Management Services (PMS) joined in by marking two significant items of their own. 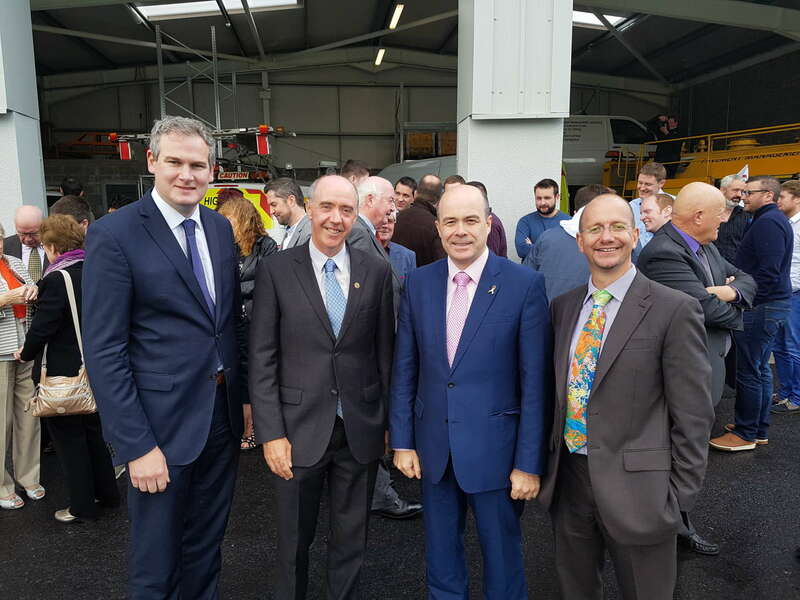 On Friday the 8th of September, GI Member PMS had a day of celebration marking both their 25th year in business and the opening of their new custom built facility in Raheen Industrial Estate in Athenry County Galway. The new facility was opened by the Minister for Communications, Climate Action and Environment Denis Naughton T.D. Minister of State for Rural Affairs and Natural Resources Sean Kyne T.D. was also in attendance, as was Minister of State for the Diaspora and International Development, Ciaran Cannon T. D. Local political representatives from Galway County Council were also in attendance. Speaking at the opening, Dr Kieran Feighan MD of PMS and current President of Engineers Ireland noted that the company has grown from 3 people in 1992 to 40 at present. Services provided for roads and airports include skid resistance tests and materials testing, falling weight deflectometer, RSP, ARAN, SCRIM, and grip testing. PMS laboratories and testing equipment are certified by the Irish National Accreditation Board. GI wishes PMS continued success and looks forward to continuing to support the company in the future.